Buying Travel Insurance? Follow These Tips! Travel insurance can be confusing. What coverage do you need for the country or province you are traveling to? How do I know what I am covered for? Am I even buying the correct travel insurance? Travel insurance is confusing, but it is also extremely important. Medical History – It is important to know your medical history and consult with a healthcare provider before applying for travel insurance. The top reasons for denied claims are medical non-disclosure and misrepresentation of pre-existing conditions. Having shaky medical history will not get you denied travel insurance. 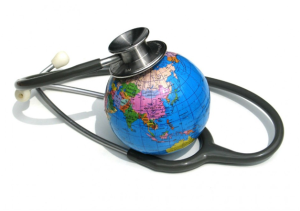 There are many travel insurance policies that cater towards certain medical conditions. Trip Cancellation Insurance does NOT Equal Medical Travel Insurance – Trip cancellation insurance only covers un-refundable expenses if your trip is interrupted or canceled. A comprehensive travel insurance package covers trip cancellation and interruption, evacuation, medical and baggage and even flight insurance. Understand Your Existing Coverage – Many travelers have existing travel insurance coverage through their work insurance plans or credit cards. It is important to understand what coverage you already have so you can purchase the coverage you need. Travel Insurance may also be Necessary for Travel in Canada – It is not true that your provincial health coverage will cover any and all medical expenses across Canada. It is important to research what you do have coverage for if you travel to a different province. Ask Questions – Always ask any and all question you have to your insurance provider directly. The better informed you are, the better prepared.